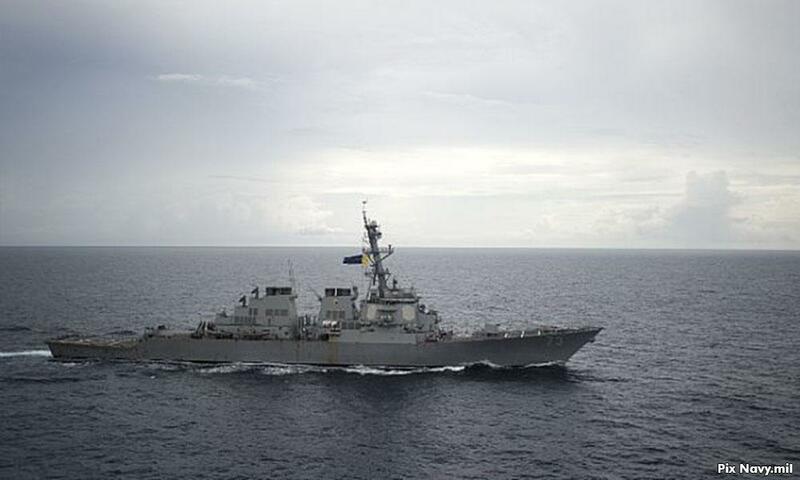 A US Navy destroyer sailed near islands claimed by China in the South China Sea on Tuesday, three US officials told Reuters, even as President Donald Trump's administration seeks Chinese cooperation in reining in North Korea's missile and nuclear programs. The operation was the latest attempt to counter what Washington sees as Beijing's efforts to limit freedom of navigation in the strategic waters. But it was not as provocative as previous ones carried out since Trump took office in January. The officials, speaking on condition of anonymity, said the Chafee, a guided-missile destroyer, carried out normal manoeuvring operations that challenged "excessive maritime claims" near the Paracel Islands, among a string of islets, reefs and shoals over which China has territorial disputes with its neighbours. Speaking in Beijing, Chinese Foreign Ministry spokeswoman Hua Chunying said China had lodged "stern representations" with the United States, and reiterated that the Paracels were Chinese territory. 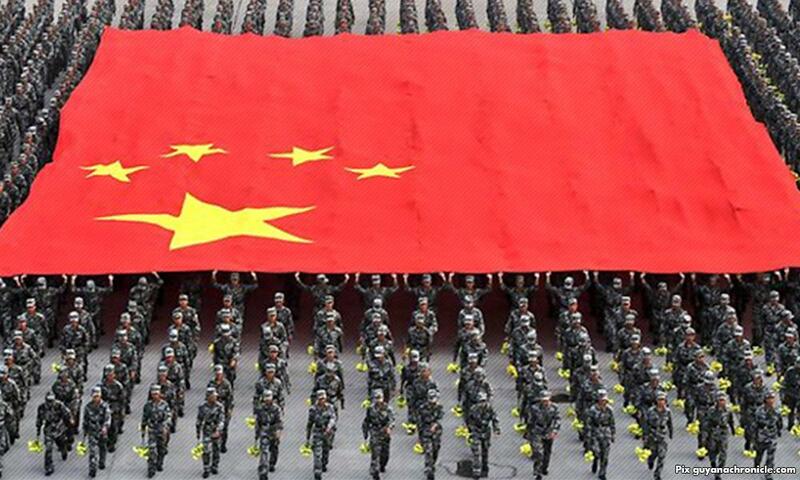 "China immediately sent naval vessels and military jets to investigate and identify, as well as warn to the vessel and ask it to leave," she told a daily news briefing on Wednesday. "China will continue to take resolute measures to protect Chinese sovereign territory and maritime interests. China urges the US to conscientiously respect China's sovereign territory and security interests, conscientiously respect the efforts regional countries have made to protect peace and stability in the South China Sea, and stop these wrong actions." Next month, Trump makes his first visit to Asia as president, including a stop in China, which he has been pressuring to do more to rein in North Korea. China is North Korea's neighbour and biggest trading partner. Unlike in August, when a US Navy destroyer came within 12 nautical miles of an artificial island built up by China in the South China Sea, officials said the destroyer on Tuesday sailed close to but not within that range of the islands. Twelve nautical miles mark internationally recognised territorial limits. Sailing within that range is meant to show the United States does not recognize territorial claims. The Pentagon did not comment directly on the operation, but said the United States carried out regular freedom-of-navigation operations and would continue to do so. China's claims in the South China Sea, through which about USD5 trillion in shipborne trade passes each year, are contested by Brunei, Malaysia, the Philippines, Taiwan and Vietnam. Experts and some U.S. officials have criticised former president Barack Obama for potentially reinforcing China's claims by sticking to innocent passage, in which a warship effectively recognised a territorial sea by crossing it speedily without stopping. Trump's trip to Asia will likely be dominated by the North Korean nuclear threat. He will also visit South Korea, Japan, Vietnam and the Philippines. In recent weeks, North Korea has launched two missiles over Japan and conducted its sixth nuclear test, all in defiance of U.N. Security Council resolutions, and may be fast advancing toward its goal of developing a nuclear-tipped missile capable of hitting the US mainland. Trump's visit to China will reciprocate a trip to the United States made in April by Chinese President Xi Jinping. The US president's attempts to get Chinese help with North Korea have met with limited success so far, but he has gone out of his way to thank Xi for his efforts.